The desperate lives of Christians in many Muslim majority countries is no secret. It is a matter of shame for those who call themselves liberal and humanitarian that so many minority religions face persecution in countries such as Pakistan. 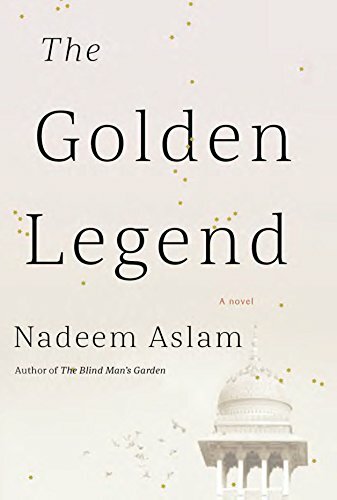 Nadeem Aslam lays bare these shameful conditions in his latest novel The Golden Legend. Aslam is no newcomer to controversial topics in fiction. His earlier works include The Map for Lost Lovers, which takes a hard look at England’s expatriate Pakistani community, and Vigil, which showcases the horrors of Afghanistan’s many wars. Interviews of Aslam show him to be an intense writer who blends the political with the fictional with finesse. The Golden Legend boldly takes on the issue of Muslim-Christian relations in the backdrop of Pakistan’s harsh blasphemy laws. The story revolves around Nargis, whose husband Massud is killed in a shootout by an American spy early in the novel. Later, she is visited by a Pakistani army official to convince her—brutally—to forgive the shooter and then by a jihadi group who wants her to do the opposite. There are complications along the way. Nargis is secretly Christian, and has been pretending to be Muslim for years. Her Christian servant girl Helen comes inadvertently under fire for heresy. Finally, the two leave their hometown to escape the forces—political, religious, and societal—willing to kill for their own gains. Front and center in the novel are mentions of how Christians are treated in Pakistan. In one instance the girl Helen is accosted by a servant boy who holds out a knife almost in a trance, threatening to cut her. He insists on wanting to see what color her blood is, for his mother has told him that the blood of Christians is black. Helen is scared and angry, but finally she relents. She pricks her finger herself to show him that her blood is the same color as hers. That and multiple other instances in the book showcase the immense nature of the divide between the two religions, created by a toxic mixture of illiteracy, political fear mongering, and prejudice. Aslam has a certain flair for dramatizing the problems inherent in Pakistan and its surrounding nations. He doesn’t hesitate to draw attention to politically controversial topics such as America’s foreign policy, Islamic fundamentalism, or the ugliness of human nature. Pakistan is portrayed in an unflinchingly truthful light, with none of her flaws left unobserved. Bigotry among the public, check. Abuse of women, check. Corruption of police officers, check. Violence, terror, and hate, check. This is the land that hundreds of millions of Pakistanis know as their own, where they struggle to survive without losing everything. Readers will find many passages difficult to read, but the imagery created by Aslam’s words make it fascinating nonetheless. At the end of it all, The Golden Legend is not a despairing book, despite the dark subject matter. The characters themselves have dredges of hope and they look forward despite their trials to the promise of a better future. They realize time and again that every Pakistani is not full of bigotry, that all government officials are not corrupt. They see the good around them, and this allows them to move forward even when circumstances seem extremely dire. Pakistan is more than the news, and sometimes a good novel like The Golden Legend helps bridge the gap.